James Arthur Tudor was born in the parish of St. Phillip. At the age of 13, he and his family set out for St. Michael and took up residence at Quakers Road, Carrington Village. James worked very hard and at the age of 25 went into his own business. He was of humble origin and underprivileged, but became a very successful businessman, owning many properties throughout Barbados. He was a shopkeeper, an undertaker, drink manufacturer, and provision merchant. 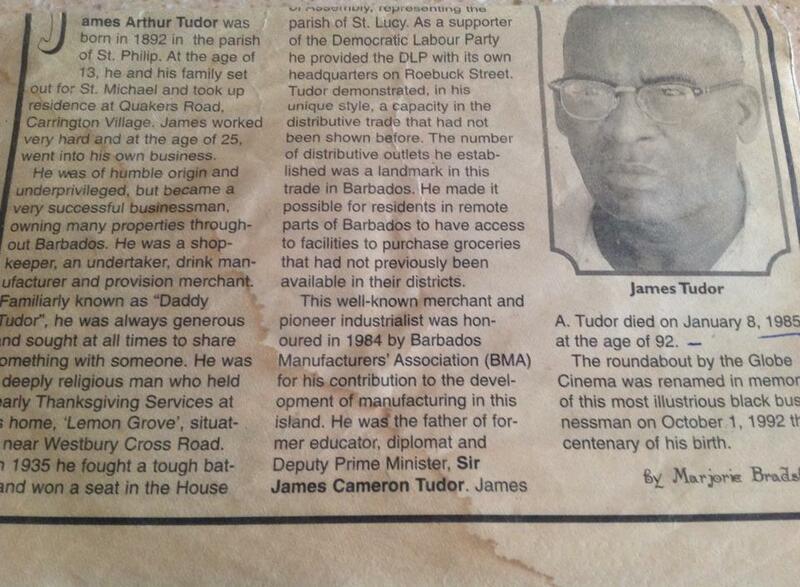 Familiarly known as "Daddy Tudor", he was always generous and sought at all times to share something with someone. He was a deeply religious man who held yearly Thanksgiving services at his home, "Lemon Grove", situated near Westbury Cross Road. In 1935, he fought a tough battle and won a seat in the House of Assembly, representing the parish of St. Lucy. As a supported of the Democratic Labour Party, he provided the DLOO with its own headquarters on Roebuck Street. Tudor demonstrated, in his unique style, a capacity in the distributive trade that had not been shown before. The number of distributive outlets he established was a landmark in the trade in Barbados. He made it possible for residents in remote parts of Barbados to have access to facilities to purchase groceries that had not previously been available in their districts. 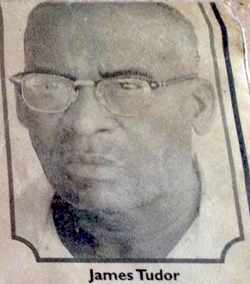 This well-known merchant and pioneer industrialist was honoured in 1984 by Barbados Manufacturers' Association (BMA) for his contribution to the development of manufacturing in this island. He was the father of former educator, diplomat and deputy Prime Minister, Sir James Cameron Tudor. James A. Tudor died on January 8, 1985 at the age of 92. The roundabout by the Globe Cinema was named in memory of this most illustrious black businessman on October 1, 1992, the centenary of his birth.